Our commitment is to do the job right, the first time – No Exceptions. We know that your business keeps our buisiness running. We’ll do it with a smile. We promise to be effective with your time no matter what pest issue you’re facing. Pest Control and Termite Treatment Experts on the Sunshine Coast! With spiders, ants, termites, and other pests here on the Sunshine Coast, pest control is more of a need than a want. Knowing this, you need to find a licensed professional with years of experience to ensure that they are eliminated in a safe and effective way. 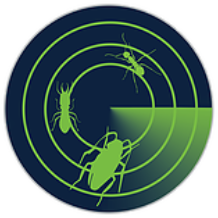 Radar Pest Control has practiced general pest control and eliminated specialty pests for many years and can do the same for you. Here at Radar Pest Control, we don’t see ourselves as just killing bugs- we make life easier, homes and families safer, and businesses more productive. We help to protect your biggest investment and will continue to refine our processes to bring you the very best pest control service possible. Termites are one of the great scourges to home ownership (as if you didn’t have enough to worry about, right?). They are the “silent killers” of the insect world, slowly causing hundreds or even thousands of dollars worth of damage. The best thing you can do for your home is have a regular termite inspection. This is a simple way to relieve a bit of stress from your life. We’ll handle the termites so you don’t even have to think about it. If termites are discovered on your property, you have little choice but to treat them. Some ambitious people attempt to apply treatments and barriers themselves. More often than not, however, they end up calling a professional termite control company like Radar Pest Control. The equipment and training is simply too much to handle on their own, not to mention when termites pop back up within just a few short months, patience tends to wear thin. We have a robust termite control and treatment system that targets them at the source so that your worries can dissipate. Even after the fact, our termite monitoring is second to none, which means you’ll get to spend time doing what you want- not locating and killing insects. From the Sunshine Coast to North Brisbane, Radar Pest Control is the perfect mix of friendly and professionalism. With the latest equipment and environmentally-friendly treatment methods, you’ll be in good hands with whatever pest issue you’re facing. Radar Pest Control has pest management solutions that are tailored just for you. Your home and property is unique and the pest activity has to be dealt with differently than with your neighbors. We create a custom ongoing plan to make sure that you don’t have to deal with pests again. Pest Control, Lawn Care, and Termites - We do it all! Radar Pest Control is located on the Sunshine Coast and they continue to branch out and provide excellent pest control services across Queenland. Radar Pest Control is located in Sunshine coast. If you want a preferred visit, you can call us at +61 0401 166 155, or stop at our office during the working hours Mon – Sat (8:00-17:00). If you want to get to our office from the Australian Post just follow these simple and easy directions. When you are ready to leave the Australian Post get on Head west on David Low Way/State Route 6 towards Sunshine Castle Green Ct. At the roundabout, take the 1st exit and stay on David Low Way/State Route 6 & Enter the roundabout and reach to radar pest control.